Originally just a name for the world-famous online retailer, amazon has now made their space as the producer for some innovative electronics such as their Amazon Kindle, tablets and computer cloud services, amazon offers all kinds of retail goods from books, computer software to consumer electronics to beauty products, toys and DVDs. Now, we know Amazon for its online retail merchandise website that has everything you need to run a household, with both Canadian and American domain names offering many of the same products. Get KitchenAid 6-Qt. Bowl-Lift Stand Mixer with Wire Whip, Flat Beater, and Spiral Dough Hook - Onyx Black, today for $299.99, list price $579.99, save $280.00 - 48% off. Get Instant Pot DUO Plus 8 Qt 9-in-1 Multi- Use Programmable Pressure Cooker, Slow Cooker, Rice Cooker, Yogurt Maker, Egg Cooker, Sauté, Steamer, Warmer, and Sterilizer, today for $99.99, list price $199.95, save $99.96 - 50% off. Get Super NES Edition New Nintendo 3DS XL Console, today for $189.99, list price $239.99, save $50.00 - 21% off. Amazon.ca Boxing day sale 2018 is LIVE now! Boxing Day Deals are valid today, December 26, 2018. The store will feature thousands of deals on products from best-selling brands. 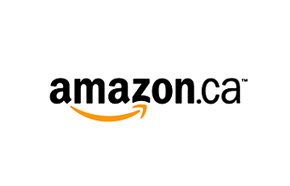 Click here to view all Amazon Canada Boxing Day Deals.